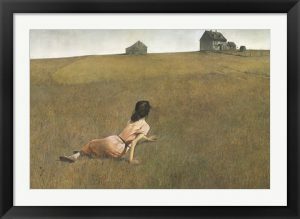 Our new “Behind the Frame” series will highlight the history behind some of our favorite works, starting off with the legendary Andrew Wyeth. Few realist painters can rival the haunting style of Andrew Wyeth. Wyeth’s stunning watercolor and tempera paintings were rich with color, as well as intrigue. His mysterious, yet shockingly real compositions earned him fame as one of America’s best-known realist painters of the 20th century. Much of Andrew Wyeth’s inspiration came from his rural surroundings in New England But his perspective, medium, and lifestyle all contributed to works of art that were far from normal. A fire crackles in the fireplace, and Sinatra’s holiday classics flow smoothly from your speakers. Your home is ready for holiday hosting. The only thing missing? The perfect holiday kitchen art to get you and your guests in a festive mood. Have you ever noticed that your kitchen becomes a popular hangout during holiday gatherings? The warm lighting and inviting smells often lure guests in the direction of your cooking space. 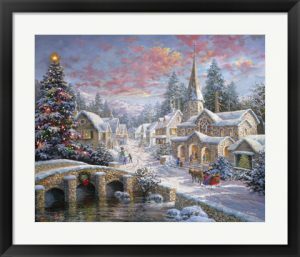 Make your space more inviting with framed holiday art. 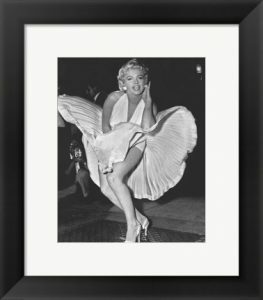 Marilyn Monroe’s Seven Year Itch may be the most iconic image of the 20th century. Marilyn Monroe posters are framed and featured anywhere from dorm rooms to upscale hotel lobbies. But knowing the stories behind the most famous photos really brings these images to life. We did some digging and uncovered the backstories of some of the greatest photographs of Marilyn Monroe. 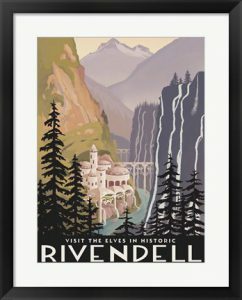 Posters are a simple yet delightfully effective way to decorate any space. 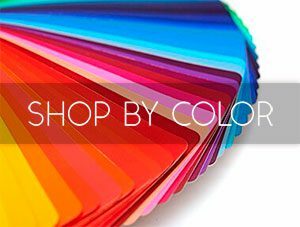 Posters are cost-effective, colorful, and help show off the owner’s personality. For a while now, posters have held the reputation as a dorm room staple. All of that is about to change. No matter who is on your holiday shopping list, consider finding each person the perfect poster. You’ll be giving a gift they’ll be proud to display.